Immigrating to the United States, as a family member or as an entire family at once, can be more complicated than immigrating alone. While some laws favor family members like children and spouses, the process can be more detailed and the paperwork more lengthy. And with a new administration in charge, things could get even trickier. Here are seven important immigration laws that families should know. 1. #USImmigrationLaw: What Is Family Based Immigration? You may have a large family that you love, but who qualifies as "family" under U.S. immigration law can be fairly limited. There are also differences between immediate relative petitions and family preference petitions. 2. #USImmigrationLaw: What Is USCIS Form I-130? Just one of the many forms you'll need to complete if you're helping a family member immigrate, the I-130 is generally the first step in a relative immigration process. This form enables you to help your relative get an immigrant visa number, but how you proceed from there may depend on where both you and your relative are currently living. 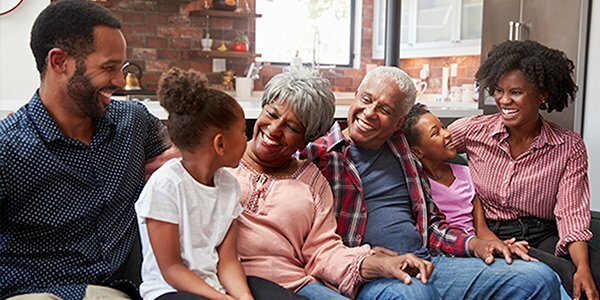 If you're sponsoring a relative to become a U.S. citizen, you may also need to fill out a Form I-864, which demonstrates that they will have a means of support when they arrive. This form "create[s] a contract between you and the U.S. Government" that obligates you to provide your sponsored immigrant with enough support to reach 125 percent of the Federal Poverty Guidelines for up to 10 years. Seems self explanatory, right? Just get married. But it's a bit more complicated than that, especially with immigration officials scrutinizing marriages more closely. And there are quite a few legal hoops through which you and your spouse must jump in order to become a citizen, including a waiting period and a pile of forms. 6. Will I Lose My Permanent Residence Status If I Divorce? Just as a marriage can affect your immigration status, legally dissolving one can as well. While getting a divorce does not mean a green card holder will automatically be deported, if your green card was based on marriage and is still in conditional status when you get divorced, it could make it more difficult to lift that conditional status and stay in the U.S.
7. #USImmigrationLaw: How Do I Get a Passport for My Child? Passports for children can only be obtained in person and require numerous forms as well as the consent of both parents. Presidents generally have broad authority when it comes to regulating immigration, and new presidents can change old immigration laws. For the latest immigration information, and how it applies to your family, contact an experienced immigration attorney today.